WintherStormer participated and performed at the OsloProg04 - The Oslo Prog Music Festival 2004. The festival was held at the «Amatøren» club during September 17th to 19th, and WintherStormer performed for a little over an hour on September 19th 2004. A large setup and responsive audience made this a concert to be remembered. Great thanks to Trond and all at the festival. You should have been there! 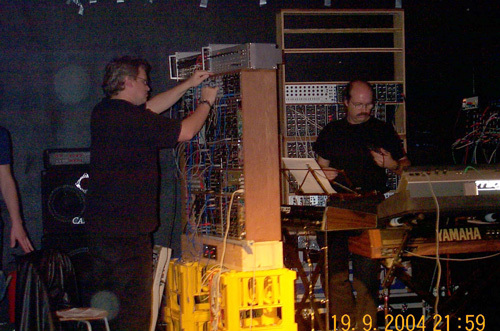 Erik Stormer (left) and Terje Winther (right) tuning VCOs during soundcheck. Winther Stormer performing live. 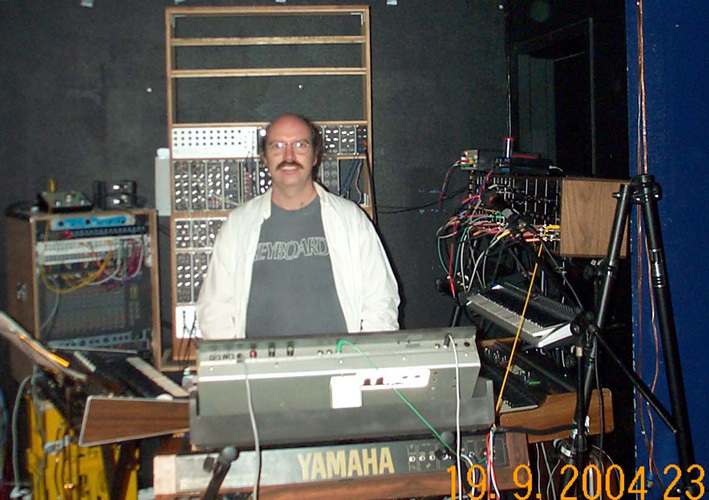 Note the two Winther Stormer modular synthesizers. Erik Stormer and Terje Winther blasting away. 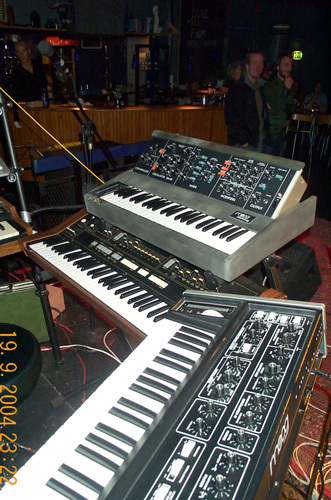 Beautiful moogs! And a very handy Yamaha polyphonic. Terje Winther after the concert. 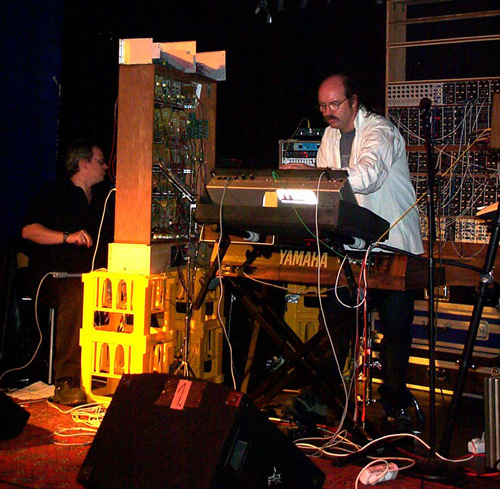 Gear: Minimoog and Yamaha SK-20 in front, Wavetech generator and Geiger-to-CV/trigger unit on top of Arrick/moog/MOTM modular to the right over Evolution keyboard and Roland VP-330; multimoog and mixer/effect rack to the left; and Winther Stormer modular in the rear. Erik Stormer after the concert. 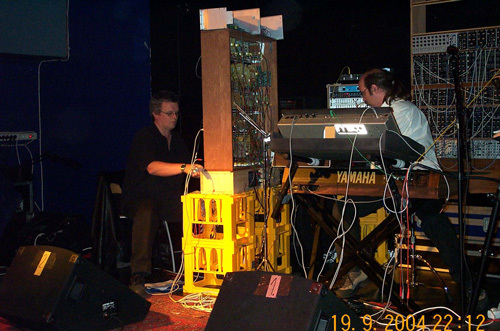 Gear: large Winther Stormer modular with two extra custom build sequencers on top, doepfer ribbon controller and a keyboard. 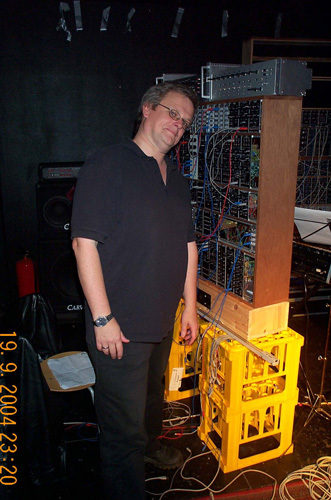 Heavy-duty large power-supply underneath the modular.